It is DC’s turn to set the box office on fire with Wonder Woman. And to top up on this superhero adventure, Entertainment Weekly has debuted new photos and the cover of this week’s print edition, featuring Gal Gadot, while the actress herself debuted a new poster, which highlights the heroine’s iconic weapon, the Lasso of Truth. 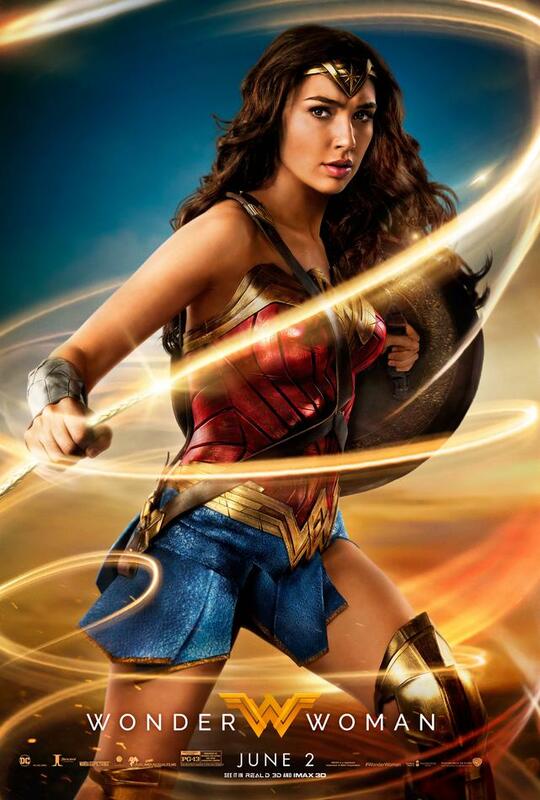 Gal Gadot took to Twitter to unveil this new poster, while Entertainment Weekly debuted these new photos. See image below. Wonder Woman also stars Chris Pine (Star Trek), Robin Wright (The Girl with the Dragon Tattoo, Netflix‘s House of Cards), Danny Huston (Clash of the Titans, X-Men Origins: Wolverine), Ewen Bremner (Exodus: Gods and Kings, Snowpiercer), Saïd Taghmaoui (American Hustle), Elena Anaya (The Skin I Live In), Connie Nielsen (Gladiator, Nymphomaniac: Vol. I) and Lucy Davis (Shaun of the Dead). Directed by Patty Jenkins, Wonder Woman opens in theaters on June 2, 2017. It will be the fourth film in the newly-launched DC Cinematic Universe, following 2013’s Man of Steel and last year’s Batman v Superman: Dawn of Justice and Suicide Squad. It will be followed in 2017 on November 17 with the highly-anticipated Justice League movie. Damn this could be the hottest superhero movie ever! Are you excited also? share your thoughts below. I do believe all of the ideas you have presented in your post. They are really convincing and will certainly work. Still, the posts are very short for novices. May just you please prolong them a little from next time? Thanks for the post.